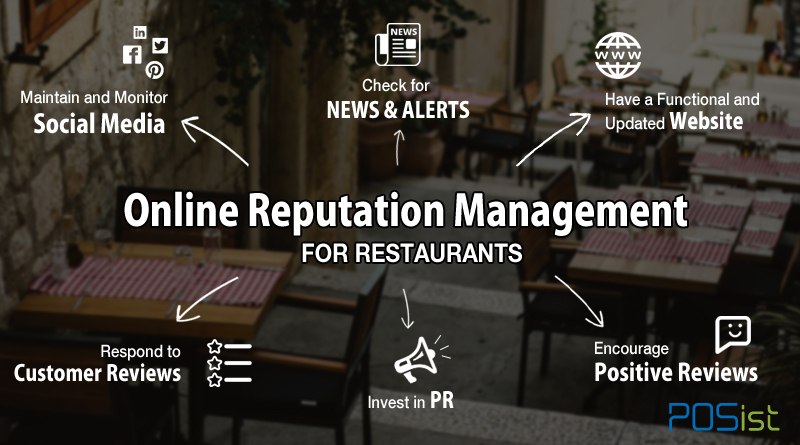 Deliberately or indeliberately, your restaurant collects a lot of data every day from internal (point of sale, employees, customer feedback) and external sources (customer profiles, social media). 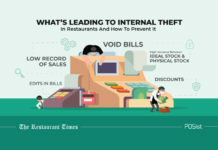 However, most restaurant owners do not realize that they are sitting on a goldmine of restaurant customer data, and hence, don’t use it to their advantage. This data is not just numbers, but powerful information which if identified, tracked and optimized, can help improve performance, give you a competitive edge, align products and services to customer preferences, and reap your profits. 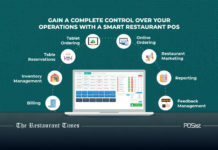 Find out how and why data management is essential for your restaurant business. Take the example of Starbucks, the world’s largest coffee shop has over 6 million registered customers in 21,000 stores across 62 countries. 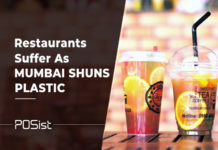 Not only this, it has an ever-growing number of drink combinations and serves 4 billion cups annually. Just imagine the kind of data Starbucks creates! Starbucks collects data on when and what customers order. 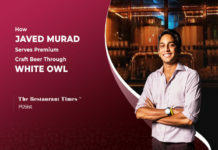 It helps it to provide them with personalized offers on their favorite coffee, and thus, stay at the top of the game. 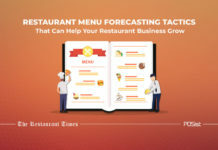 Let’s see how you would process your restaurant customer data in a way that will convert it into actionable insights and drive revenues for your restaurant. You already have a lot of data about your customers’ preferences. This means that you can see which food items are the most popular in your restaurant and which ones are almost never or hardly ordered. On the basis of this information, you can make sure you have enough stock on your busy nights. It also tells you which items do not work and should be taken off the menu and replaced with more profitable choices. These changes in the menu will help you manage your restaurant inventory better, avoid food waste and decide which menu items to promote. 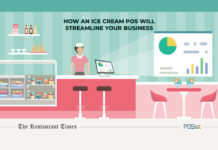 POSist uses the data collected by your Point of Sale to generate in-depth reports. You can easily monitor which dishes on the menu are the most and the least ordered, at what time do most sales occur, etc. Use this data to redesign the menu and special offers to attract customers. You can also gather item-wise reporting to monitor the performance of each dish in the menu through a Feedback App. 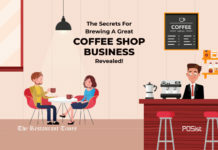 When customers walk into your restaurant, you can collect information like purchasing habits, preferences, demographics, and personal information like names, addresses, phone numbers, and email addresses. You can use this information to build long-lasting customer relationships with the help of your CRM software, and thus drive more sales. Offer loyalty programs–According to a recent study, it was found that 44 percent of consumers participate in loyalty/rewards programs at limited-service restaurants, and about a third have signed up for programs at one or more full-service restaurants. Eight of 10 participants said they were more likely to frequent a restaurant if they are part of its loyalty program. Hence, the restaurant can build loyalty programs to create guest loyalty. Offer rewards – You can send your new customer’s emails that include a discount or a generic coupon of a free appetizer on their next visit thus encouraging them to return. However, for your regular customers, you can personalize this reward by offering them a free order of their favorite appetizer on their next visit to show your appreciation for their continued patronage. Give preference to your regular customers – Everyone knows the Pareto principle (the 80/20 rule). So when applied to your restaurant business, it means that 80 percent of your restaurant’s sales come from 20 percent of your customers. Now, though you would want to focus your attention on all your customers, you would still want to give preference to your repeat and loyal customers. That’s a wise business decision and something that your customer data would help you make. So, on your busy days, when all your tables are going to be booked, invite your loyal customers to book their tables first. Incentivize them to celebrate their special occasions (by emailing or calling them in advance) at your venue. Encourage off-hour visits – Using the data on your repeat customers, you can encourage them to visit the restaurant or lounge during the off hours and offer them discounts only during that time period. It will help you fill tables and keep your regular patrons happy. Surprise with spontaneous rewards – Sending guests an email with a discount shows your appreciation. However, you can make it count more if you offer spontaneous rewards to your unsuspecting guests. For a first time guest (as you can find out from the history of your CRM system), offer an incentive in the form of a 10% discount or a free dessert to tempt them to make a second visit. Restaurant customer data can easily tell you which days of the week are busy or slow. This gives you an opportunity to create restaurant promotions around your slow nights. For example, if Wednesdays are slow for business, you can create promotions like buy one get one free or Ladies Night Out with unlimited free drinks to increase patronage. This will help you bring sales even on your worst business nights. 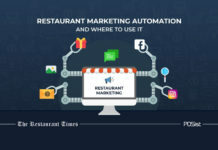 A restaurant collects customer data from multiple sources, which may get lost in the hustle-bustle of the business. Therefore, it is important to use an integrated CRM that collects and create an integrated customer database. POSist’s Marketing Platform allows you to upload your entire database, from various sources at one place, giving you a comprehensive view of the data. Based on the customer behavior and spending patterns, you can generate reports, and sort your customer database into various categories. You can then use these reports to send various offers and loyalty program emails and SMS etc., and reach out to your customer base. 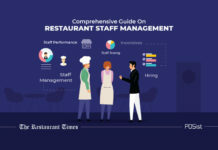 You can use your restaurant customer data to connect with customers, increase orders and encourage frequent visits. When the discount voucher or coupon is redeemed, it can easily help you know which promotions are more effective and which ones don’t. It will help you formulate a better marketing strategy the next time. Also, tracking Facebook likes and where people are landing on your site can help you market better, reach out to your core demographic and improve sales. Going through the copious amount of mind-boggling reports can be a tedious task. Therefore is important to choose a POS with quick and easy reporting. 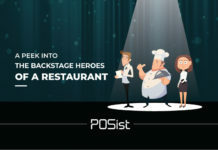 POSist processes the restaurant customer data and provides detailed reports of your restaurant business that is simple to understand. It also converts tedious data into simple charts and graphs. 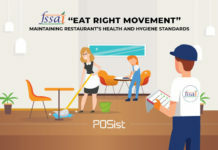 You can also monitor your restaurant business from any time, anywhere through POSist’s Mobile Reporting Feature. Get instant updates right on your mobile phone through a Cockpit App. 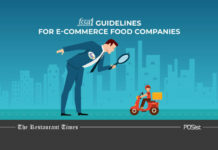 Find out how to make better decisions for your restaurant business here.